This week, a delegation of more than 100 representatives from Malaysia’s tourism sector were in Dubai, making a case for tourists from the Gulf countries to make Malaysia a primary travel destination. Presenting at the Arab Travel and Tourism Market, the Malaysian Minister of Tourism encouraged governments and companies in the region to work with Malaysian tourism entities to create promotional programs touting Malaysia as a must-see locale, The Independent Recorder reported earlier this week. They didn’t have to push hard to do so. 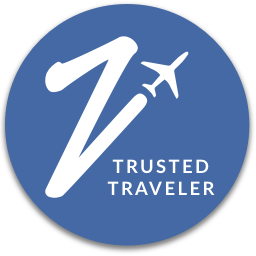 Malaysia is not only a Muslim-friendly destination, but one that beckons to travelers from all over the world. Last year, Malaysia was named a leading destination at the World Travel Awards Asia and Australasia, and visitor arrivals to Malaysia have been increasing, as the country received 26.8 million tourists in 2016 as compared to 25.7 million tourists in 2015, according to a December 2016 New Strait Times report. When most people travel Malaysia, they think of Kuala Lumpur, which hosts roughly 11-12 million arrivals per year, or Malacca, which welcomed about 12.7 million arrivals last year, according to their respective tourism boards. That means just under half of the 26.8 million people visiting Malaysia decide to visit these two tourist hot spots. Even Penang is high up on the list accepting roughly 6-7 million visitors each year. Instead, consider escaping to the less-traveled Borneo island, which plays home to the Malaysian states of Sarawak and Sabah. Sabah, in comparison, received 3.42 million visitors last year, or about 12% of the tourists visiting Malaysia, according to the Sabah Tourism Board. Here, against the backdrop of the South China Sea and the lure of equatorial jungles, you’ll find a thriving seaside city on one side – which is increasingly becoming an industrial center – and a teeming mountainside rainforest on another. 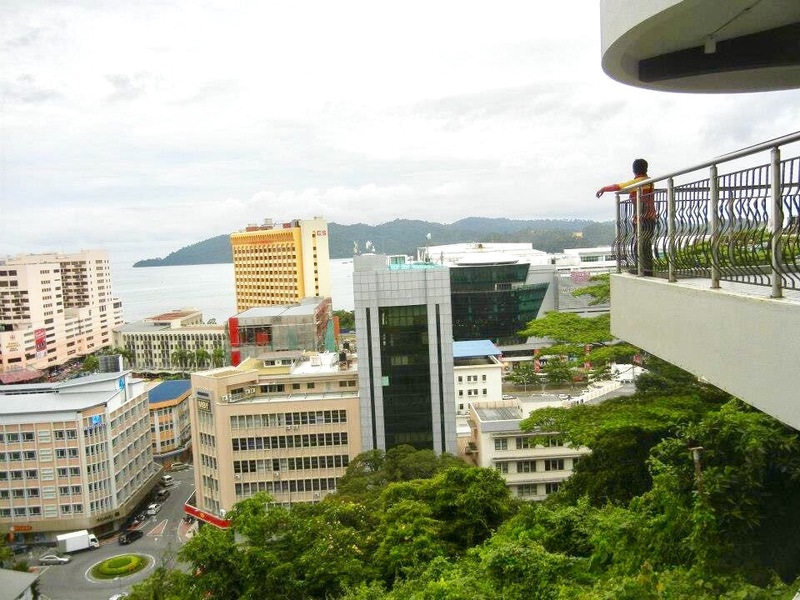 I had the opportunity to visit Sabah for a short stopover on the way back from India in January 2013 before resuming spring semester of business school. With only two days to tour Sabah’s state capital of Kota Kinabalu, we were still able to see a lot by sticking with group tours to make the most efficient use of our time. If you only have a couple days in the “land below the wind” here are some places you’ll want to check out. I know most people don’t like to visit museums while traveling because there are certainly many more interesting and unique things to see when you’re in a foreign land, but I actually enjoy at least one museum visit at the start of a trip because I think it provides good historical and cultural context for the sites you will visit during the rest of your stay. 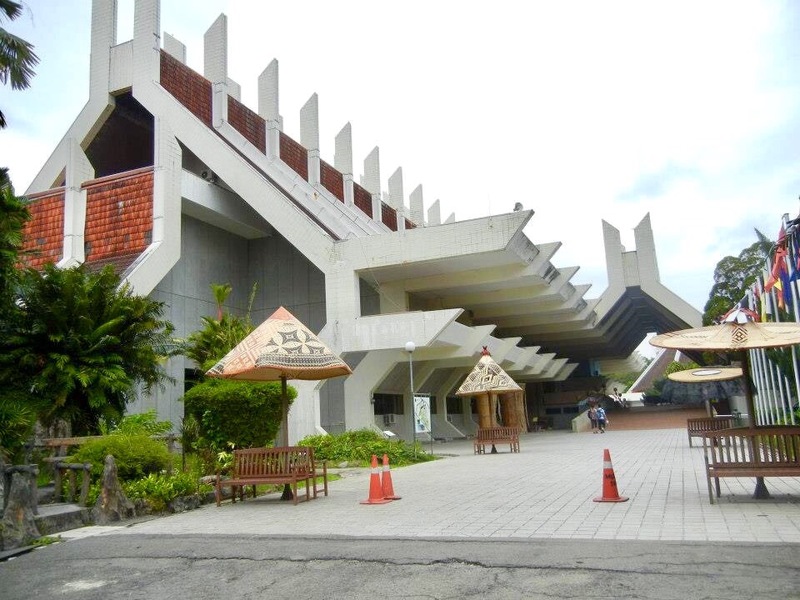 Sabah’s state museum and heritage village does just that, with collections illustrating the ethnographic, zoological, and archaeological development of the region, with special exhibits devoted to ceramics and the Islamic Civilization. 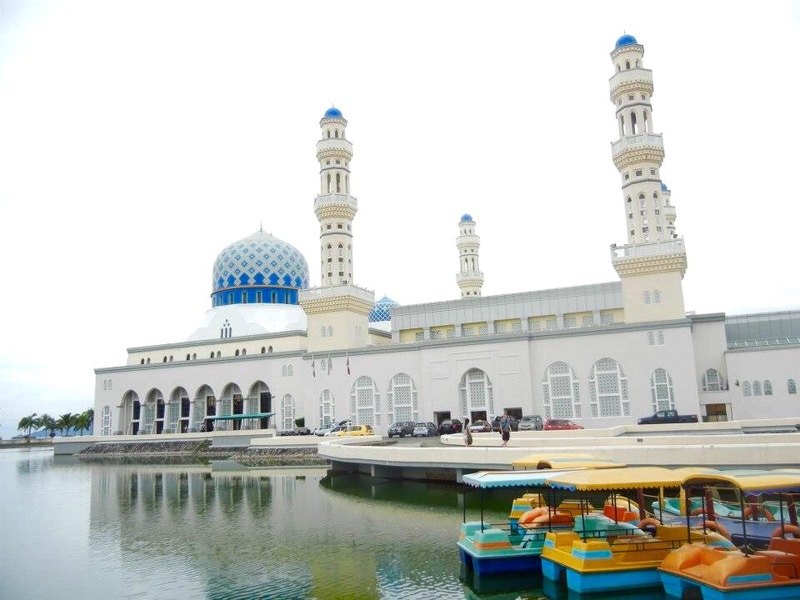 As you’ll quickly learn from a visit to the state museum, roughly 60% of Malaysia’s population is Muslim, so it’s no surprise to see numerous mosques throughout the country, and Sabah is no exception. Even in hotel rooms throughout Malaysia in general, green arrows on the floor or ceiling indicate the direction of Mecca to assist faithful Muslims in their daily prayers. 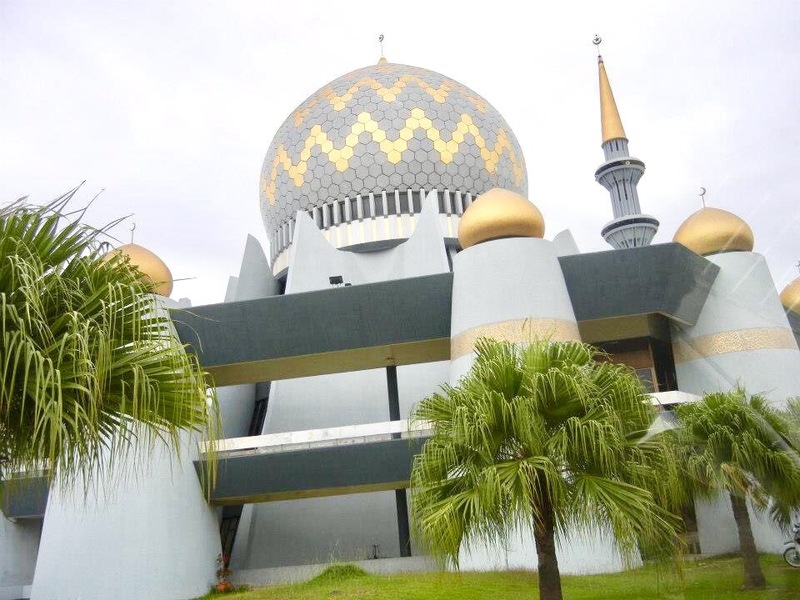 The Sabah State Mosque, designed by architects from Malaysia, Italy and Egypt, is located at the heart of the city’s capital, Kota Kinabalu, and can accommodate up to 5,000 worshippers, including a separate balcony that can hold up to 500 female worshippers. Its exterior towers are gilded in a golden band of Quranic scriptures, while inside, its walls and floors are adorned with mosaic and marble tilework, according to the Islamic Tourism Board. Though we did not go inside because we were not dressed appropriately, the mosque does offer tours to non-Muslims as long as tourists do not visit during prayer times and are modestly dressed. Meanwhile, the city mosque, which is the largest mosque in Sabah, can host up to 12,000 worshippers at once! Banked by a reflective man-made pool, the mosque appears to float, giving it a dreamlike appearance under both the brilliance of the midday sun as well as the shadow of night when it is illuminated. Its exterior is the main attraction, as there isn’t much to see inside, though as in the case of the state mosque, visitors can tour during non-prayer hours and if clothed properly, according to Lonely Planet. 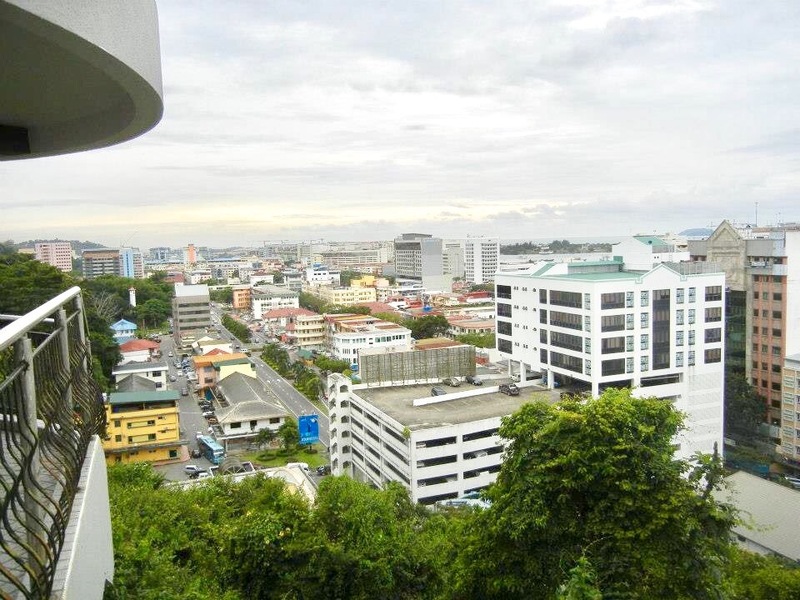 Take in panoramic views of Kota Kinabalu, the capital city, from the Signal Hill Observatory, a circular pavillion atop the highest point in town. On the way to Signal Hill Observatory, you can stop at this unique structure, the oldest in Kota Kinabalu, which once served as a beacon for ships during the days of British colonization. Today, it is one of three structures that remains following World War II, when the region was blasted with air raids. 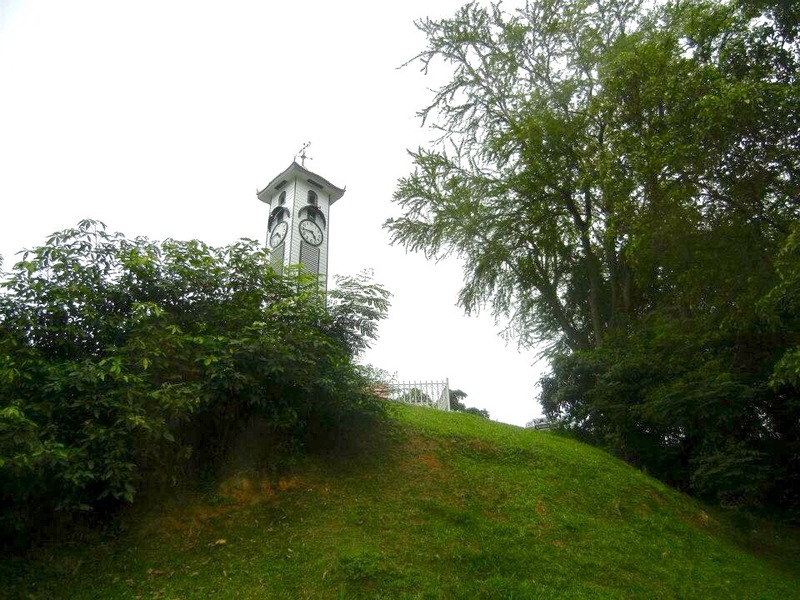 The clock in the tower continues to run, according to the Sabah Tourism Board. 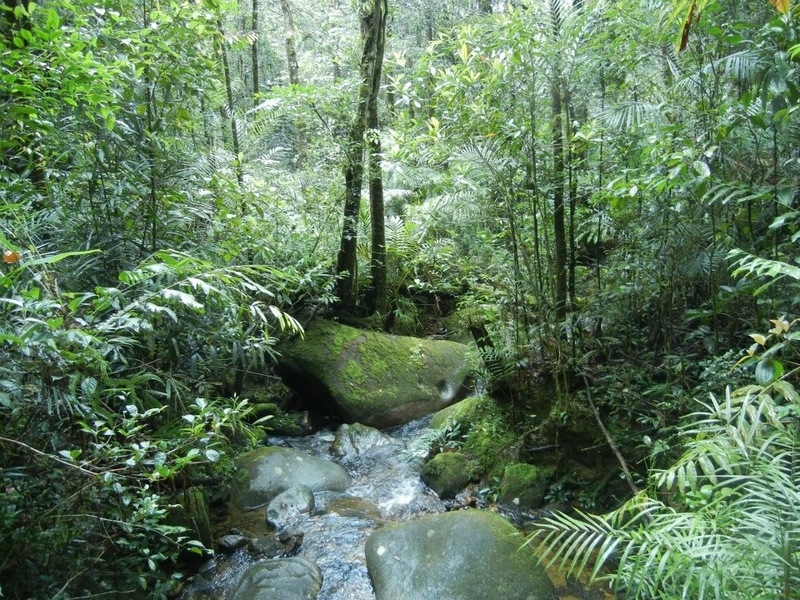 You’ll need a full day to tour Kinabalu National Park, which is a UNESCO World Heritage Site. At 4,095 meters, Mount Kinabalu is the highest mountain between the Himalayas and New Guinea, according to the UNESCO website. 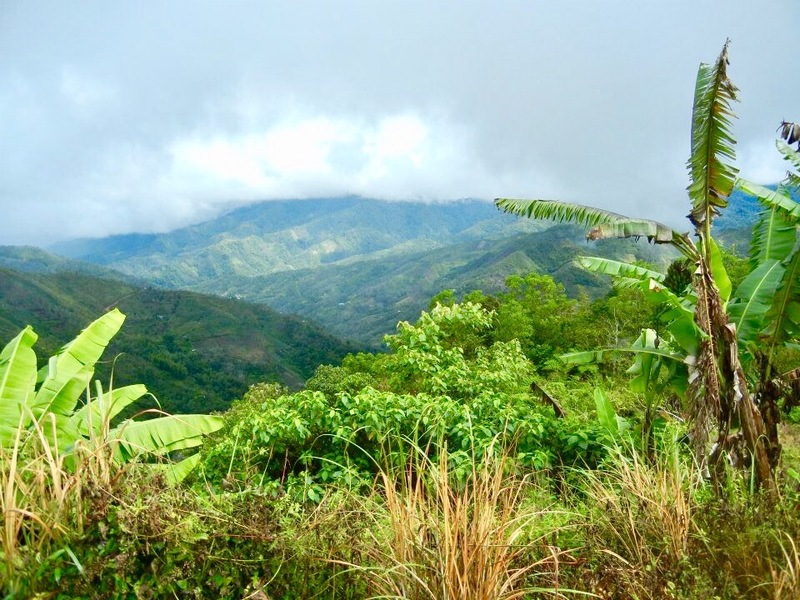 There are certainly many hiking trails trekkers can follow to hike to the top. But again, given the short timeframe and since we were traveling with a small child (my niece), we went with a group tour to get the most out of our visit to the park. There’s more to the park than the mountain, though it does command most tourist attention. 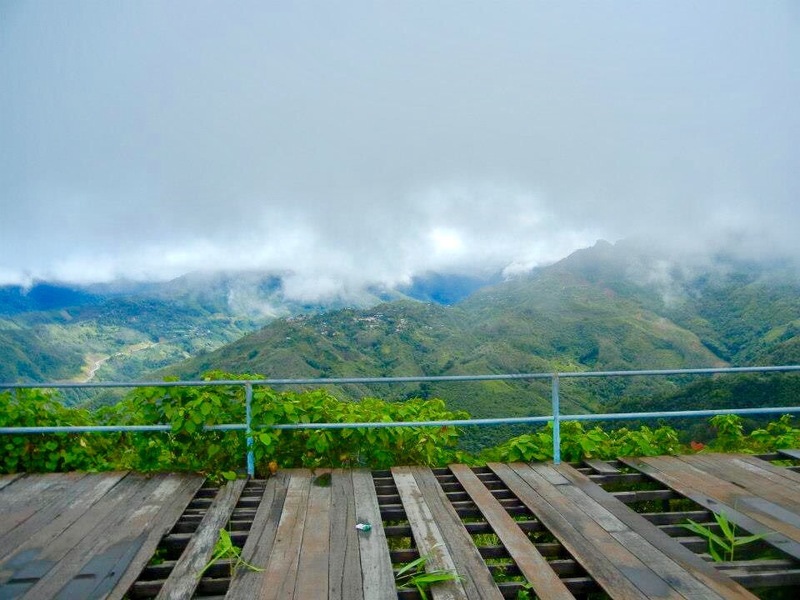 Bus tours typically take more than two hours to get into the park and make stops along the way to the platform where one can catch picturesque views of the summit. Tour groups include a stop for lunch at a rest house on the way. I was surprised by the decent vegetarian food available even at such a remote location. However, being a cloudy day, the peak of the mountain was shrouded in mist. Though it was a rather overcast day when we took the bus tour, driving along the hillside reminded me of the verdant Austrian hillside, speckled with small houses here and there, and flowering trees. There is no shortage of flora in the lowlands of the mountain, where you can visit the “Mountain Garden”, or Taman Botani botanical gardens. This garden reminded me very much of the botanical gardens in Fiji mainly because of its location and not so much because of its size or variety. 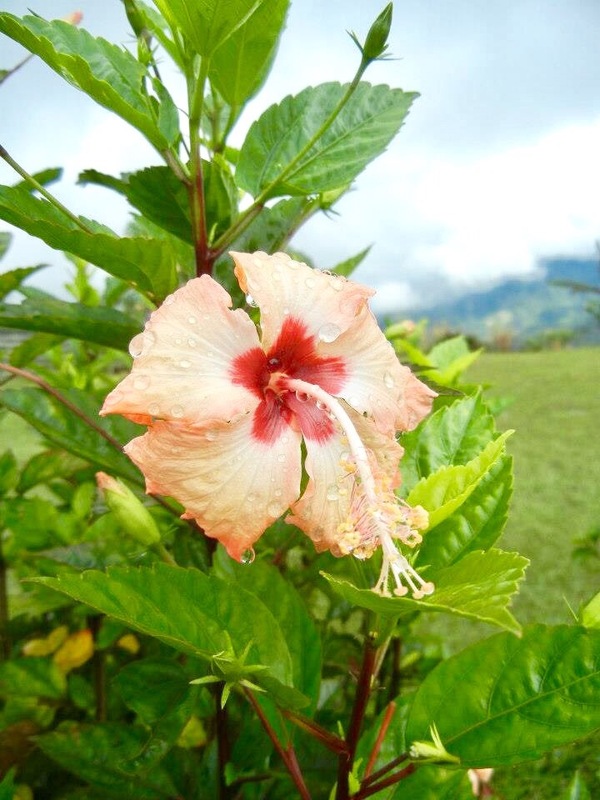 The gardens in Fiji seemed more impressive to me, but that could just be because it seemed as if there were a wider array of flowers in bloom at the time. 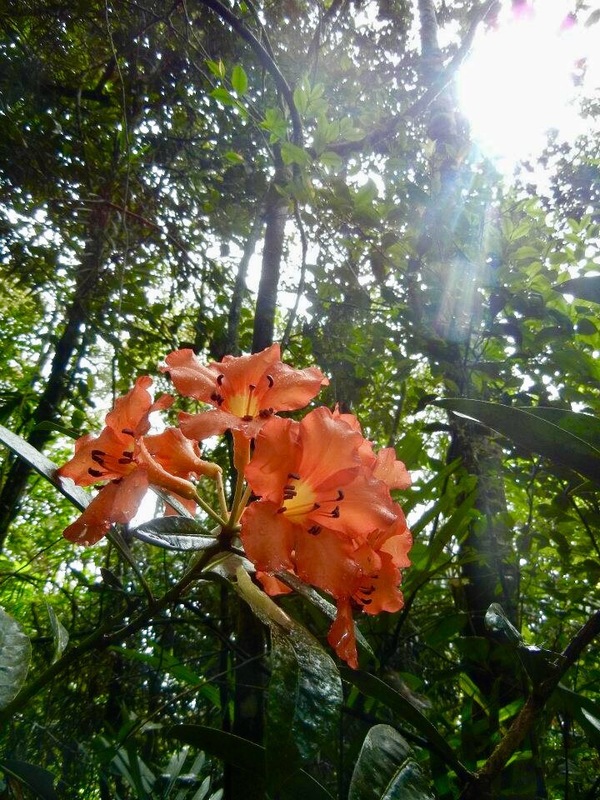 Here at Kinabalu, the gardens boast more than 2,000 varieties of flowering plants, according to Sabah Parks. This family-friendly hot springs are not like the traditional springs you visit in other places where the pool is natural with algae-covered rocks. Instead, picture a spa resort nestled into the verdant hillside and where the steaming pools resemble the tiled or concrete public baths of Western classical civilizations. They are sourced by the hot water from the springs, but it is not the natural milieu one might expect. Huts situated along the manmade pools provide shade for families visiting. If public baths aren’t your thing, the hot springs also offers private rooms, but these, too, are concrete pools fed by the sulphurous water of the hot springs. One thing I wish we had done, which we did not have time for, was visiting the Sepilok nature reserve where you can encounter orangutans. In fact, given a longer stay, I would have liked to explore more of the natural attractions, such as hiking the trails of Kinabalu or snorkeling along the coast of Sabah’s honeyed beaches. I really enjoyed my 4-day trip to Kota Kinabalu last year. The turquoise water at Sapi and the tranquil ambiance makes me unwind there. Love to be back to conquer the highest summit in Southeast Asia. 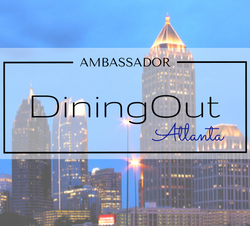 Thanks so much for your sharing!